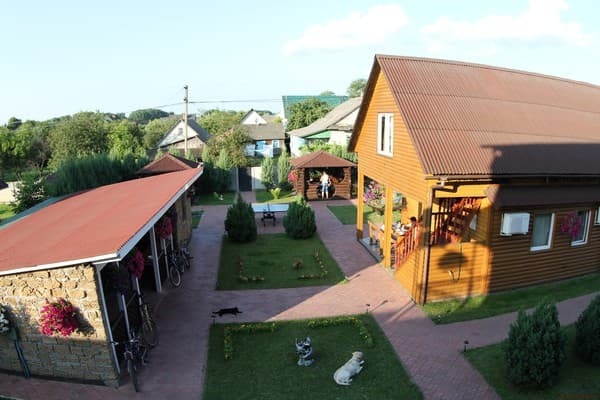 Recreation "Mejdu treh ozer" is located in the picturesque Svityaz village. 200 meters from the hotel is the deepest lake in Ukraine - Svitiaz. 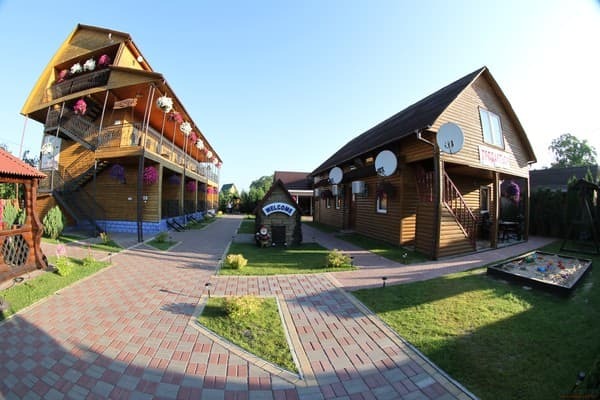 The complex consists of two buildings consisting of 18 comfortable rooms. 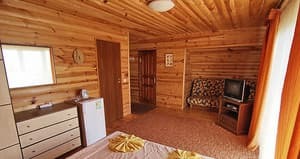 All rooms have air conditioning, refrigerator, TV, Wi-Fi. 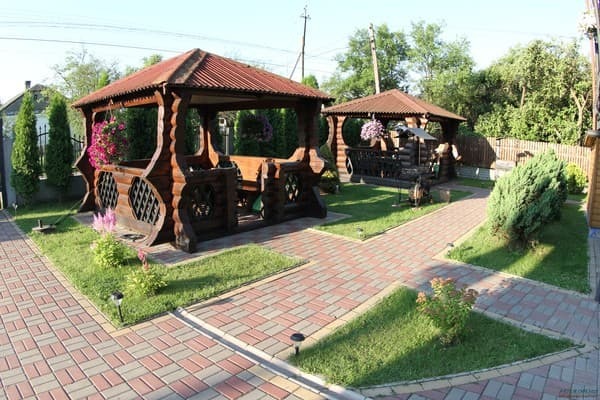 Hotel offers: a private beach, gazebos, barbecues, hammocks, playground, store, secure parking. Residents have the opportunity to rent bicycles, boats, fishing tackle. The recreation center offers its clients dishes of Ukrainian and Georgian cuisine. There is also a kitchen, a terrace for cooking. Distance to Shatsk is 5 km, Kovel - 60 km, Lutsk - 160 km. 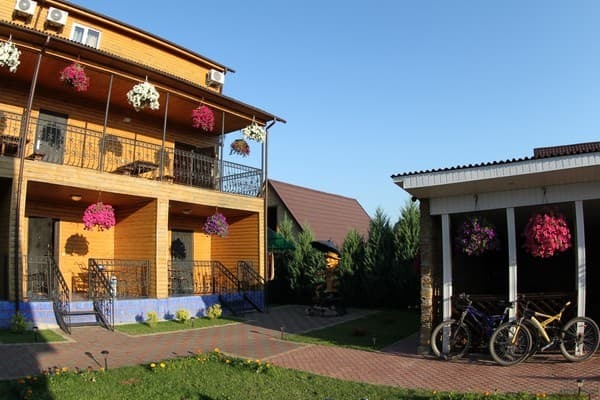 Описание номера: Double one-room with a double bed. The room has all the amenities for a comfortable stay. 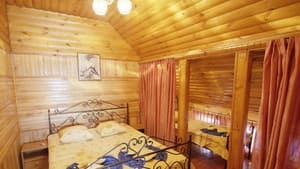 Description of the room: Bright one-room is equipped with a comfortable double bed and a sofa bed. Описание номера: A cozy one-room is equipped with a wardrobe, a dining table, a double bed, a fold-out armchair for a child (160 cm). 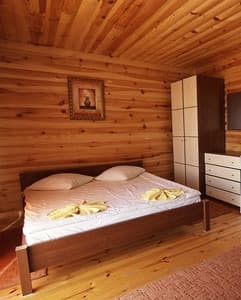 Описание номера: A spacious one-room is designed for accommodation of three people. The room is equipped with: a wardrobe, a chest of drawers, a double bed, a fold-out armchair for a child (160 cm). 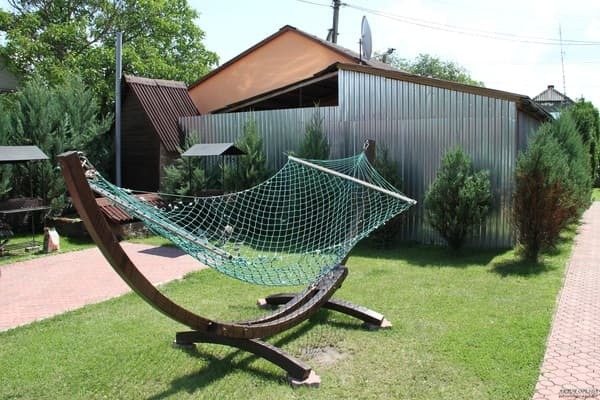 Описание номера: Two-room is designed for 5 people. In the living room there is a double sofa, dining table, wardrobe. 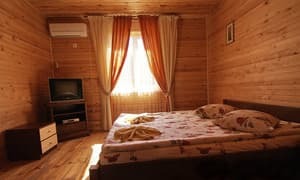 The bedroom is equipped with a double bed and a single bed. Free extra bed for a child up to 14 years. Extra beds for adults are not available. Hotel has a restaurant. Breakfast - 35 UAH, lunch - 60 UAH, dinner - 45 UAH. 200 meters from the hotel is the deepest lake in Ukraine - Svitiaz. Distance to Shatsk is 5 km, Kovel - 60 km, Lutsk - 160 km. You can reach the hotel bu train to Kovel. Then take a shuttle bus Shatsk or Svityaz. You can order a transfer for an additional charge.